Druptop or Drupchen Melong Dorje (Tib. གྲུབ་ཐོབ་མེ་ལོང་རྡོ་རྗེ་, Wyl. grub thob me long rdo rje) (1243-1303) — an early lineage holder of the Vima Nyingtik. 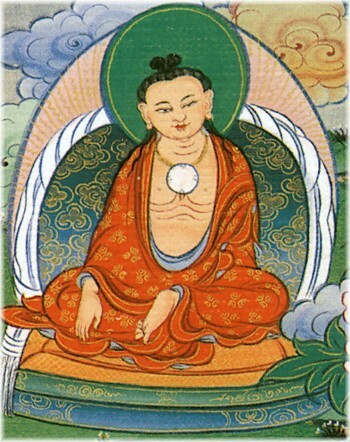 Melong Dorje's root teacher was Trulshik Sengé Gyabpa and his heart-son was Rigdzin Kumaradza (1266-1343). Melong Dorje also started the Lhodrak Kharchu Monastery. Dudjom Rinpoche, The Nyingma School of Tibetan Buddhism, Its Fundamentals and History, trans. and ed. by Gyurme Dorje (Boston: Wisdom, 1991), pages 566-568. Nyoshul Khenpo, A Marvelous Garland of Rare Gems: Biographies of Masters of Awareness in the Dzogchen Lineage (Junction City: Padma Publications, 2005), pages 91-93.